these are so great Paul, I especially love the lady in profile and those shoes! Masterful work. Such an assured use of that tasty black, with handwritten type that is perfectly sympathetic to your line. Illustration is so much about observing, feeling, selecting, isolating. This is a lesson. Sept. students out there, pay attention to this sublime mastery of all these elements. Wonderful work, Paul! Congrats on such a nice series of work. These are amazing. Please let me know when the book is available! Each one is a gem. 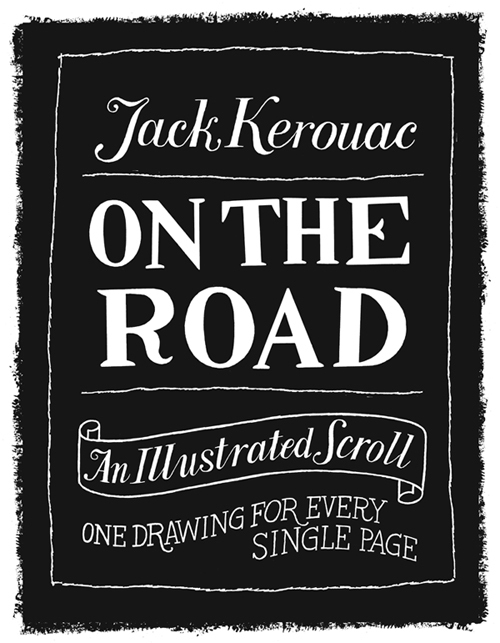 Illustrating "On the Road" is a wonderful idea and your skillful drawings are a perfect compliment to Kerouac's writing. Masterful use of line and black and white. I don't believe people realize how difficult it is to lay the right washes down in the right spots. Extraordinary little beauties, Paul. Each is a pearl...a gem...a jewel. Nicely done. The book is an American classic and these illustrations are a beautiful tribute. I thought I would hate this because of the way Kerouac is often mischaracterized and overshadowed by this one book among his long bookshelf. But this is great. I would love to see what you could do with Dr Sax. If you ever want, I'll show you around Lowell. Someone upthread said masterful...I agree and I wish I drew like this too. The drawings are like songs. Oh beautiful black, in love with your line, the economy of line, one can't do this without years of drawing. This book was so important to me as a young man-spent some time "on the road". You bring all those distant memories to life. Beautiful work. I want the book, graphic novel, however it manifests. I keep coming back to this post to admired what you drew and what you didn't. There's a lot left out for the mind of the viewer to complete the story. Truly inspiring, Paul. Boy! What a piece of work! Fantastic! I sure dig this! I'd love to get this, its stunning as hell.